Every marching band needs them! 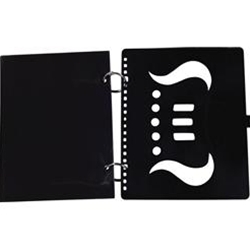 These flip folders come with 5 windows to get you started. Extra windows and rings are available.